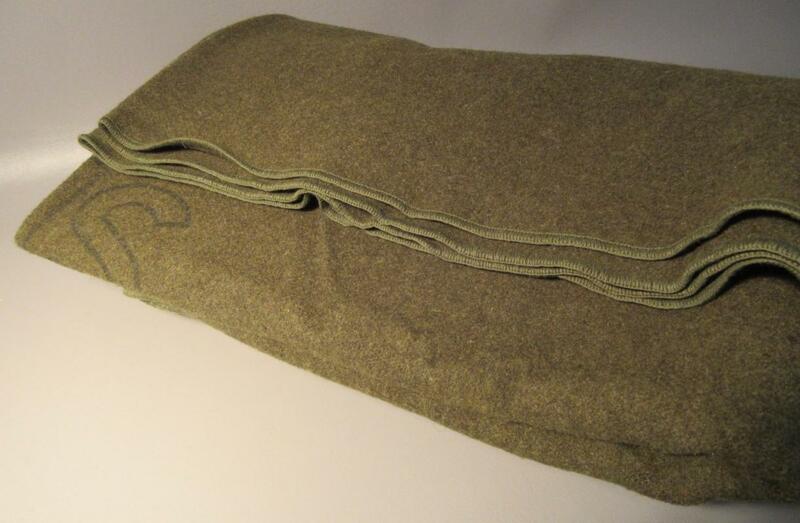 This is an authentic, vintage olive green, wool army blanket. 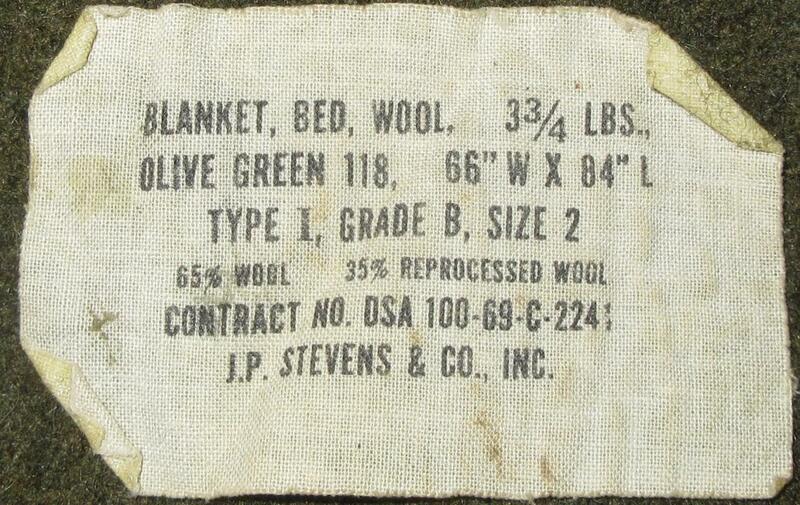 The label reads: Blanket, bed, wool, 3 3/4lbs. JPStevens. Contract no. USA 100-69-0-224. 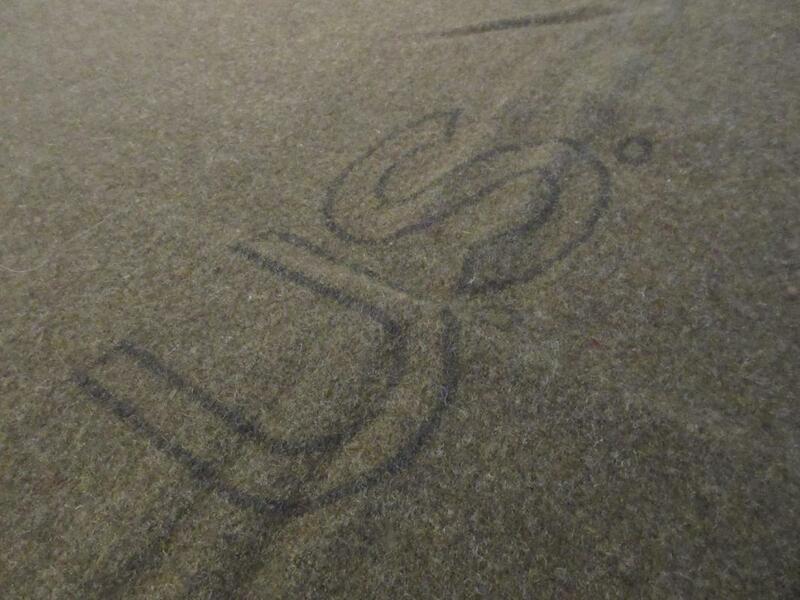 It has the outlined letters “US” in the center. 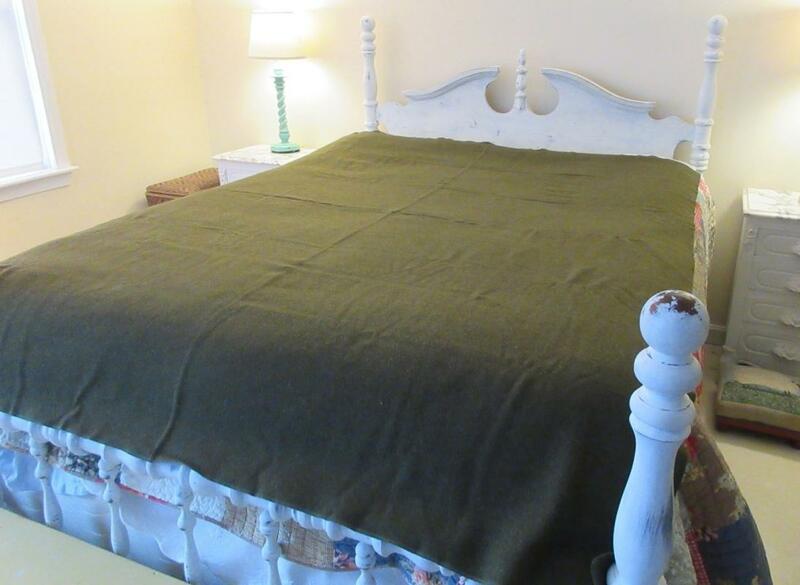 In excellent condition with no moth holes. 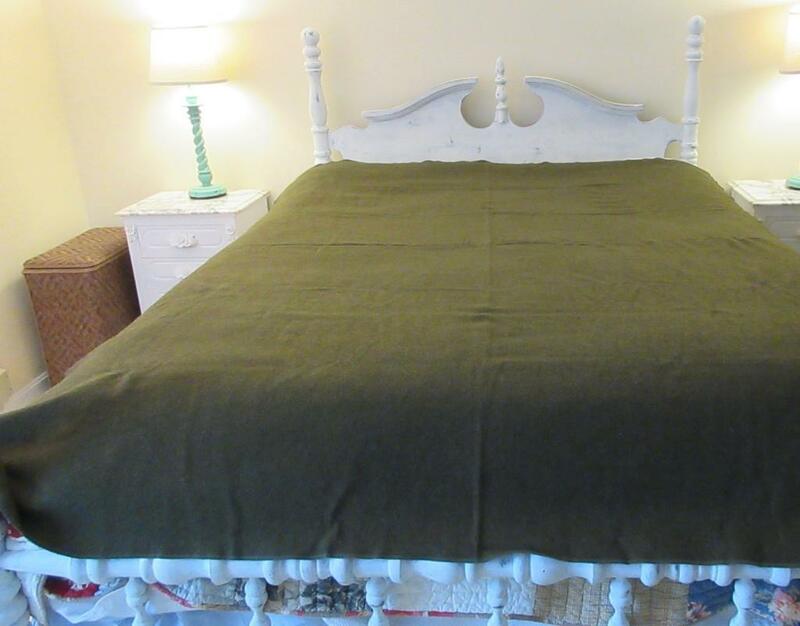 There are 5 tiny 1/4” round black spots, no other damage, odors or repairs. 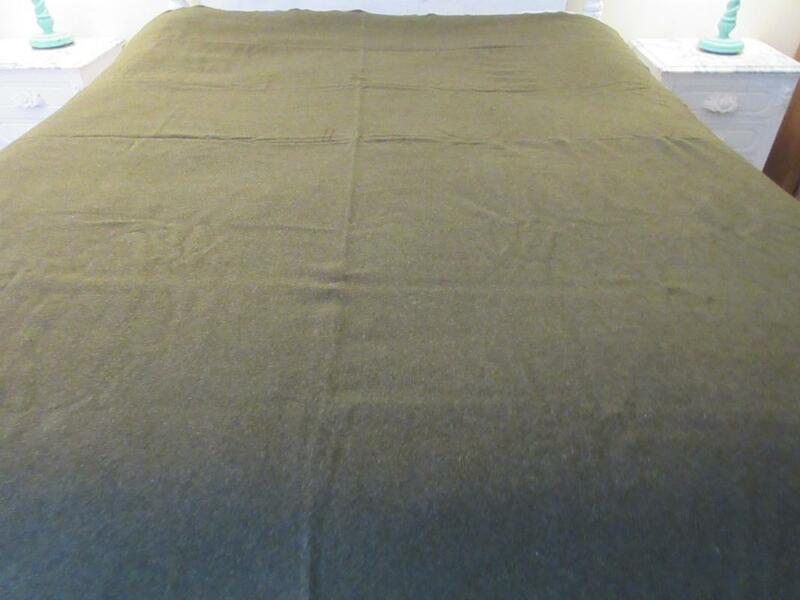 OVERALL SIZE IN INCHES:66 wide x 84 long.